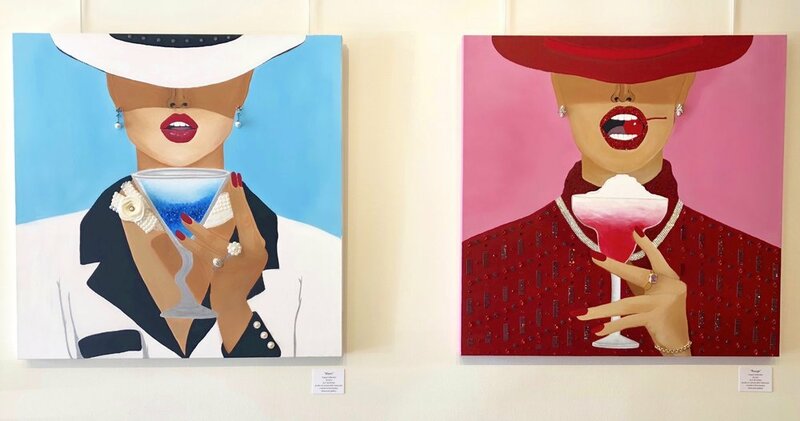 This collection is inspired by the 2014 Vogue Paris campaign called "Cocktail D'été", where each model is styled with bold jewelry and vibrant clothing. Aram collaborated with her father, a jewelry designer, to bring this campaign to life on canvas. Each piece is hand painted, with Swarovski crystals, various gemstones and even one to two pieces of her father's jewelry. Inspired by Kendra Scott’s story as a female entrepreneur starting out in ATX, Aram made a Kendra Scott edition as a part of the collection. 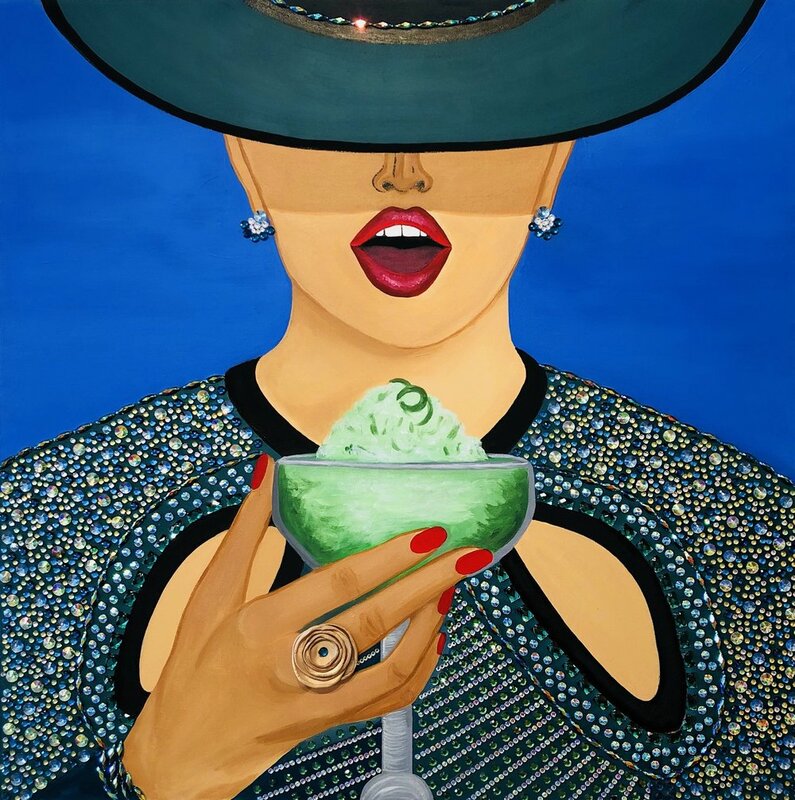 This piece was made exclusively with Kendra Scott jewelry and later exhibited in an art pop-up hosted by House of L. The piece was purchased by a new collector who donated the piece to Kendra herself (pictured below). Aram also had the pleasure of exhibiting the collection at Spectrum Miami during Art Basel 2018 and will be exhibiting them next in New York in April of 2019. You can check out the inspiration from Vogue, or even browse through some of her father's designs available for purchase here on her website.